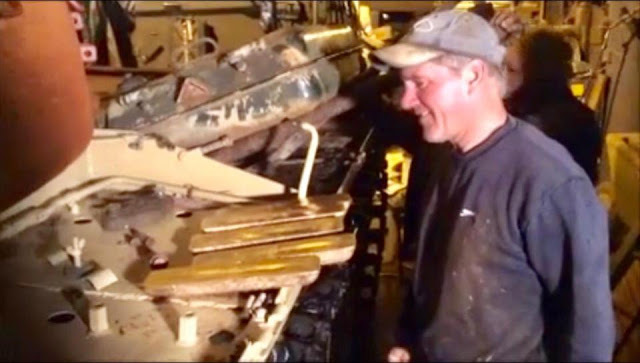 The story of these men who found something inside a fuel tank of an Ex Iraqi Army battle tank that totally caught them off guard. They described the battle tank as some sort of hidden sanctuary of unknown wealth until they pried it's fuel tank open. 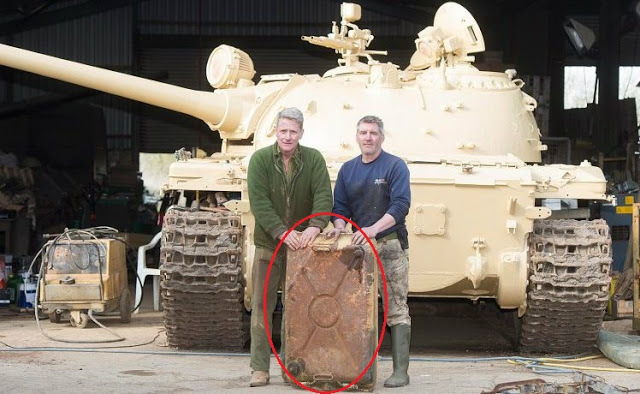 They did not expect such discovery inside the fuel tank that they bought from eBay worth £30,000. Nick Mead and Todd Chamberlain were fond of collecting historical specimens related to warfare. The Russian T54/69 were used extensively during the Persian Gulf War and the Invasion of Iraq in 2001. They documented the restoration process and while dismantling the fuel tank, they found 5 gold bars worth at least £2 million! Skeptics believe that it is originally stored in the Iraqi Central Bank until the Invasion of Iraq in 2001 where trillions of dollars worth of gold bullions were looted by the US Army. The storage of 5 gold bars inside the fuel tank is seen as an act of preservation. The video below shows the clip of how the gold bars were found.